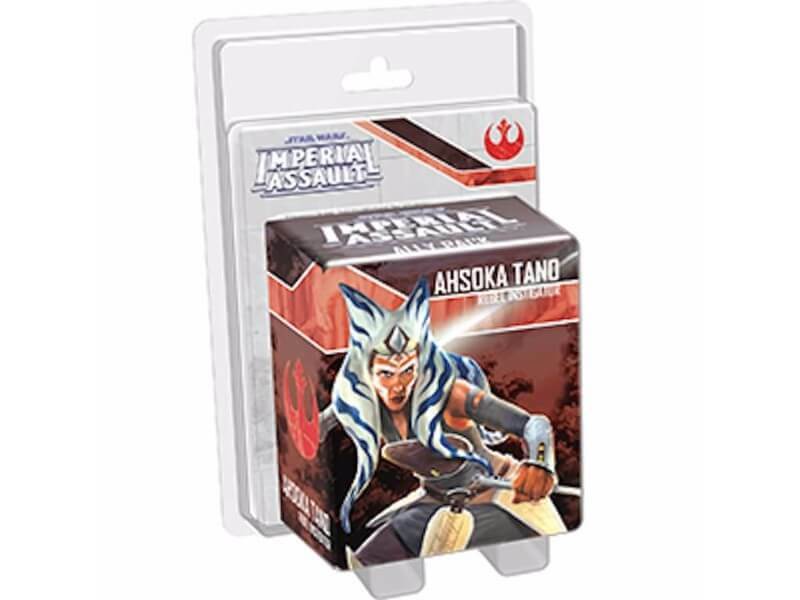 With her twin lightsabers, Ahsoka may offer you just the edge you need to survive your adventures in Coruscant. Her Force leaps allow her to move quickly into position wherever sheÕs needed most, and then she can press the attack with one blue die and two green dice, as well as the ability to reroll all her attack dice or all the defender’s defense dice. YouÕll find more of Ahsoka’s talents, spirit, and connection to the Force represented among the expansionÕs mission and Command cards. Four of these Command cards strengthen her connection to the Force, and the fifth takes full advantage of her talents as a Spy. Finally, two new skirmish missions provide ample opportunities for you to fight alongside Ahsoka, sowing chaos in the heart of the Empire.